Let's determine the perfect EUR Child Clothing Size. Child clothing size is used by children from 4 years and up to approx. 7 years. The Child's EUR size is used in Europe (including UK), and it is also widely used internationally. Keep this in mind when shopping for a 4 or 5 years old child, that actually often can use both sizing systems. 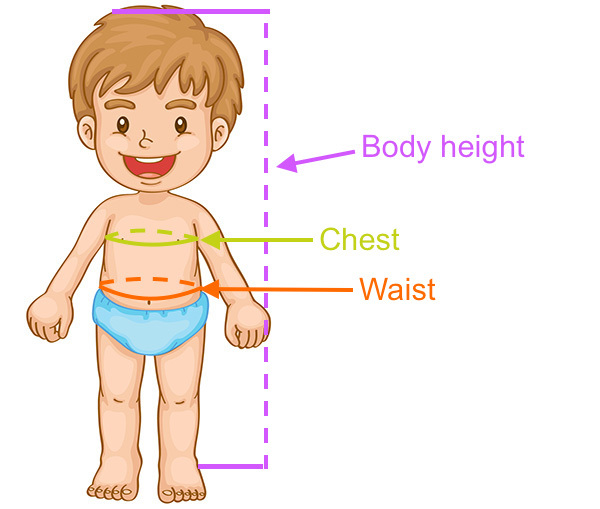 Use your body measurements to determine Child Clothing Size from the US Children Clothing Size Chart below. Boys/girls. All measurements in CM. Smaller sizes? See our Baby Size Chart. Larger sizes? See our Youth Size Chart. Boys/girls. All measurements in inches.